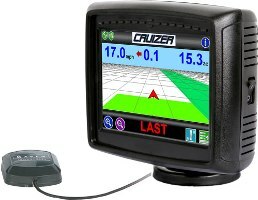 Brilliant 5.7” high-resolution touch-screen display features easy to understand icon-based menus, status indicators, and day/night mode for simple operation. 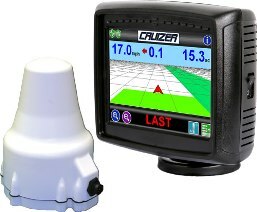 Built-in 10 Hz DGPS receiver and external DGPS antenna for accurate sub-meter guidance. Enhanced “Last Pass” guidance with automatic correction simplifies contour and irregularly shaped fields and prevents repeating errors. Record keeping made simple with file formats for saving, reporting and importing data.